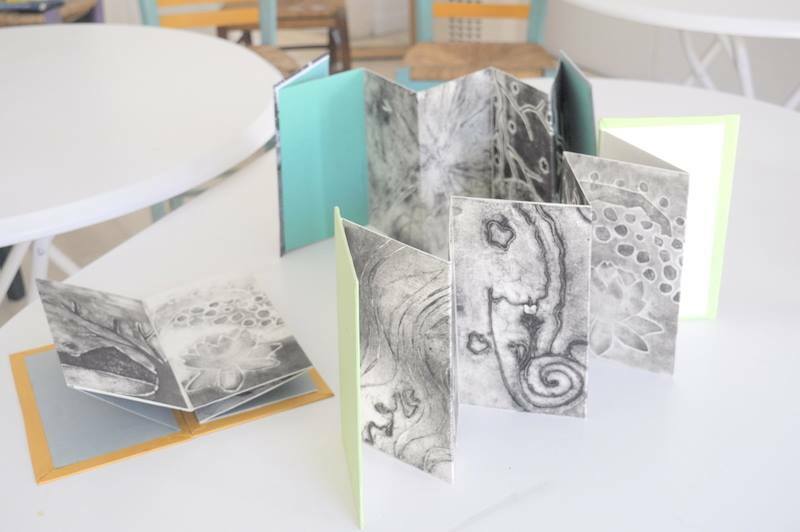 This class is a hands-on exploration of the book as a holder for text and as an object of art. We learn about paper handling, printing, and binding procedures. The process from conception of the design through to final product is presented. In the digital age it is important not to forget that the knowledge in our hands allows us to access creative ideas which are available only by doing. Simple skills such as threading a needle or folding paper can lead our mind in new directions. In order to duplicate these learned skills once home, we use readily procured materials and not specialized bookbinding equipment.